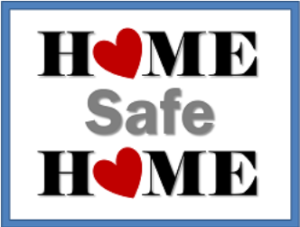 Everyone wants to feel safe and secure in their home. It is the only place you can truly be you. But we can take our feeling of safety for granted and we do need to remain vigilant about not compromising our safety. Below are some tips to help stay safe. An inviting home invites everyone including burglars. Make sure to make your home look occupied and make it difficult to break in. Lock your windows and lock your doors even if you’re only running down the street. Lock your fences and gates. Use timers or turn on lights on when you leave to give the appearance of occupancy. Keep your garage door closed when you are home and especially when you leave. Don’t tempt passersby with what they can see. If your going out of town have the post office hold your mail or ask a trusted neighbor to pick it up. Don’t post your plans on social media it will just advertise to the wrong people. Don’t allow social media networks to track your location while you’re out. Don’t place keys in what you believe are hidden places like under mats, in plastic rocks or in flower pots because thieves know about those places also. Keep your shurbs around your home rimmed back so criminals have no place to hide. Use motion detectors outside the home and use ambient yard lighting. If you have an alarm system, use it always. If you don’t look at getting one installed or get a couple big dogs. Make sure your door plates and hinges are screwed in with 3 ½ “ deck screws. Replace door locks with deadbolts or update old ones on exterior doors. Exterior doors should always be solid core.